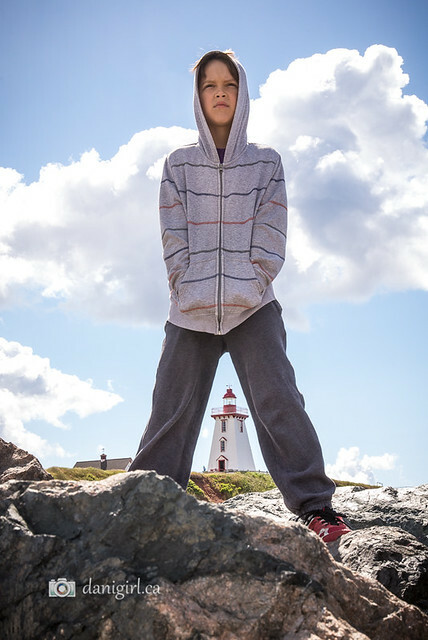 Lighthouses are an iconic part of the PEI experience. In 2016, we even drove from one tip of the island to the other to earn our “tip to tip” lighthouse certificate! 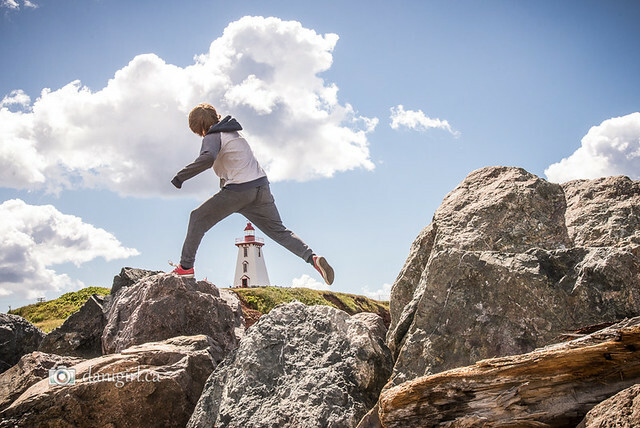 This trip, we visited no fewer than seven lighthouses in our adventures exploring PEI. They are as varied as they are beautiful, but after visiting the same places year after year, I felt like I should shake things up a bit with my photos. 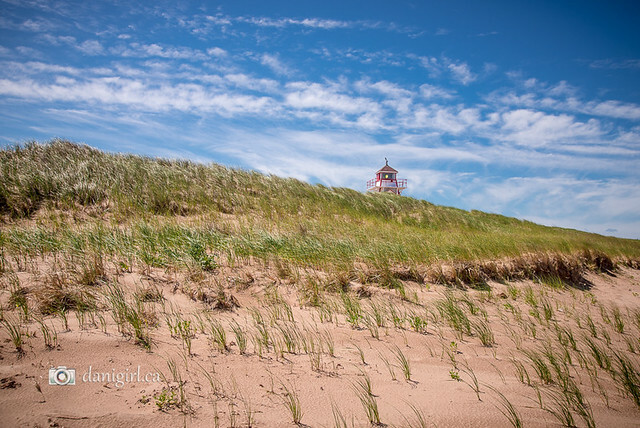 There’s the “lighthouse peeking over the dunes” shot for some classic PEI flavour. 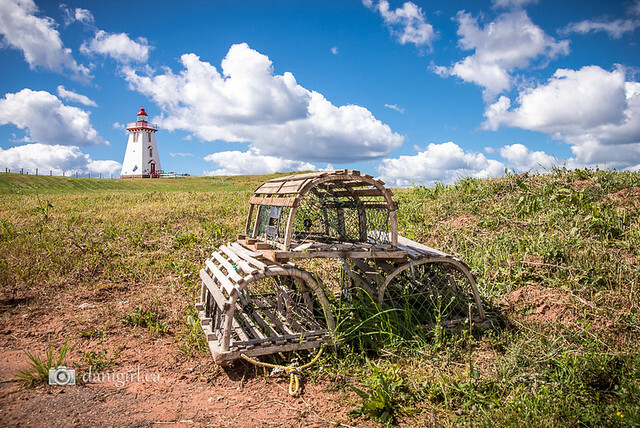 This is Covehead Lighthouse, in PEI national park. There’s the landlocked lighthouse. This is the New London Lighthouse, which we found while exploring near French River. I’ll have more photos from that adventure another day. We didn’t get too close, but it looks like the lighthouse keeper’s cottage is still attached to this one. How much fun would it be to live in a lighthouse? New London, by the way, is the birthplace of Lucy Maud Montgomery. 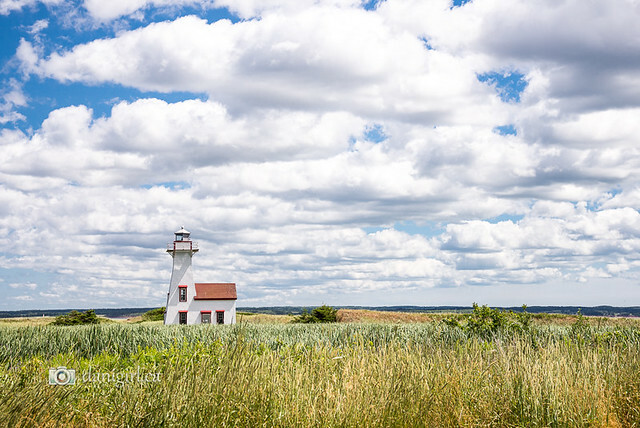 One can imagine that the author of the beloved Anne of Green Gables stories gazed often upon this lighthouse! And speaking of iconic (did you say “cliche”?) shots, you can’t go wrong with some lobster traps in the foreground and a lighthouse in the background. This is the Souris lighthouse, and if you like seaglass, you simply must visit the wonderful seaglass exhibit inside the lighthouse. 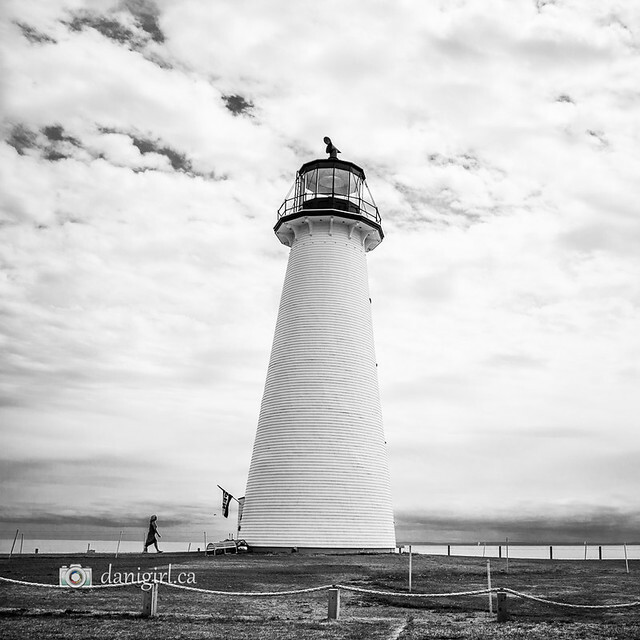 This year, we paid our first visit to PEI’s oldest lighthouse at Point Prim. I thought a black and white treatment worked, and really like the addition of the silhouetted person walking into the lighthouse. By the time we got to the last day of our trip, I had taken a LOT of pictures, of the boys and of lighthouses and of the boys with lighthouses. We started to get a little silly. I noticed that Lucas was just about the right size to make this forced perspective shot work. About two seconds later, Tristan nearly gave me a heart attack by leaping from one boulder to another nearby, and a new idea was born. With a little bit of planning, a big leap and lot of luck, this shot worked out just about perfectly. Lighthouses are awesome! Do you have a favourite? Which of these shots do you like best?